The Old Fashioned is created by muddling sugar and bitters. 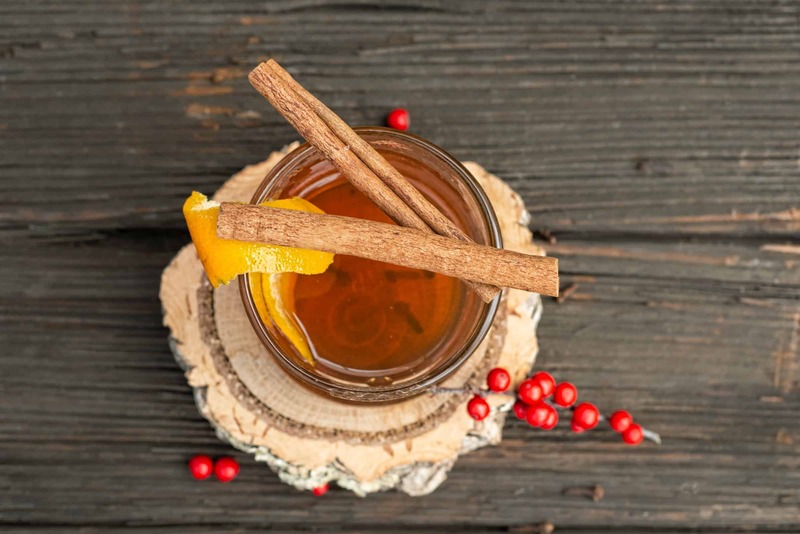 The original recipe calls for whiskey, but it can also be made with rum for a more modern take. A twist of citrus rind completes the drink. This cocktail is typically served in a short, round glass. 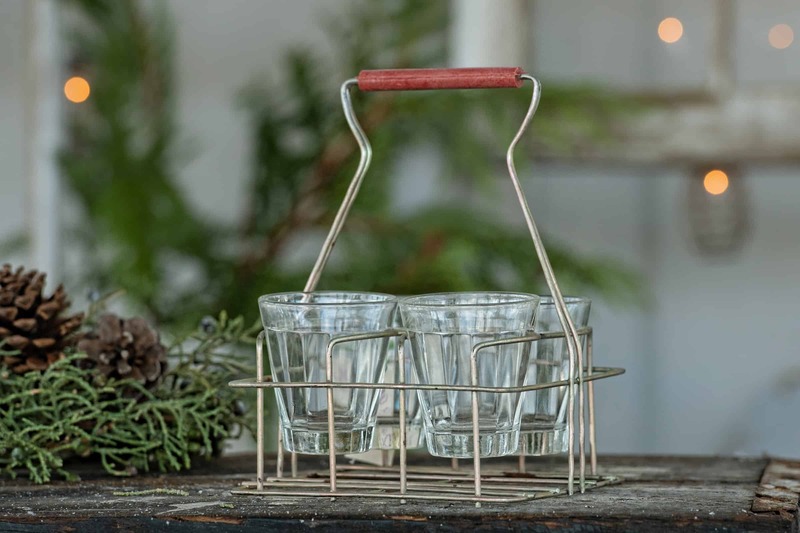 Don't forget the accessories when you are setting up your bar cart. 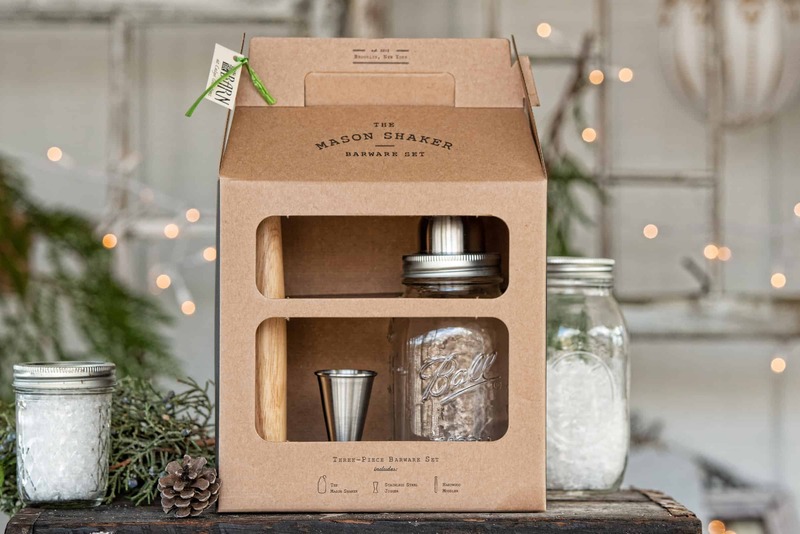 Whether you're hosting or toasting the season, a shaker set is a great bar staple for mixing all types of libations, and Mason stones will keep your spirits chilled without watering them down. Vintage style shot glasses held in a farm house style carrier look almost as good empty as they do filled. 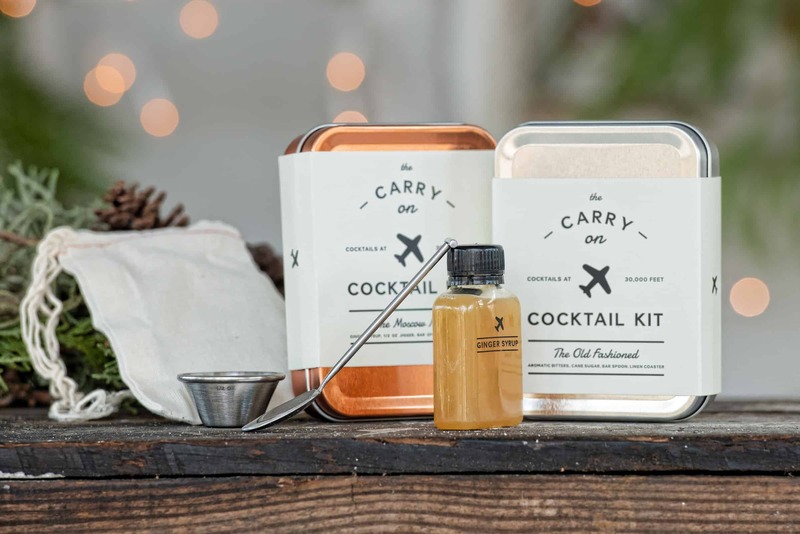 And if your bar cart is an airplane tray, a Carry On Cocktail Kit has all the ingredients (minus the alcohol) for an airplane mode Old Fashioned or Moscow Mule. 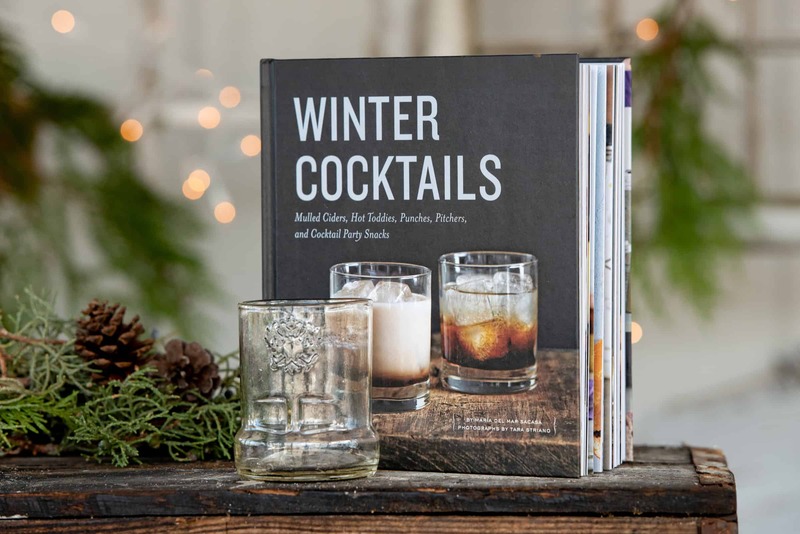 Winter Cocktails, authored by Maria Del Mar Sacasa, is the perfect hostess gift and for your own library. Her classic recipe for the Old Fashioned (shown below) is timeless and sophisticated. 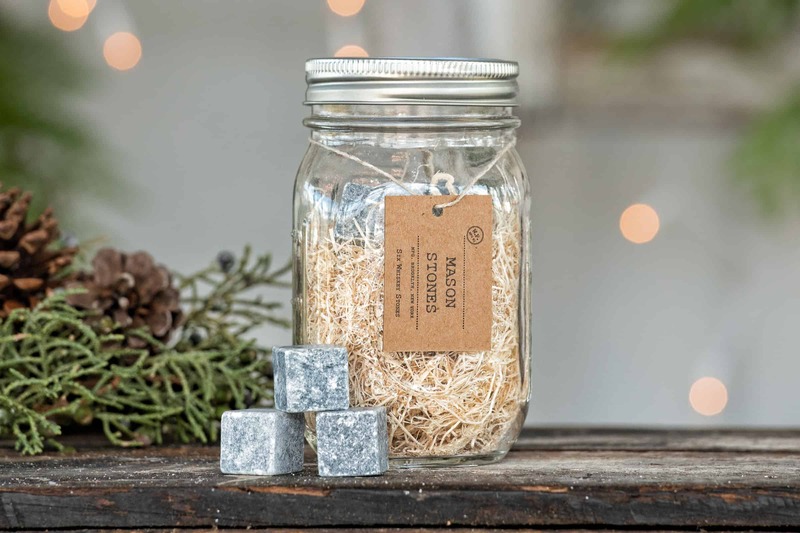 Place sugar cube at the bottom of a low ball glass. Pour bitters directly onto sugar. Add 1 orange slice, and then fill glass with ice cubes. 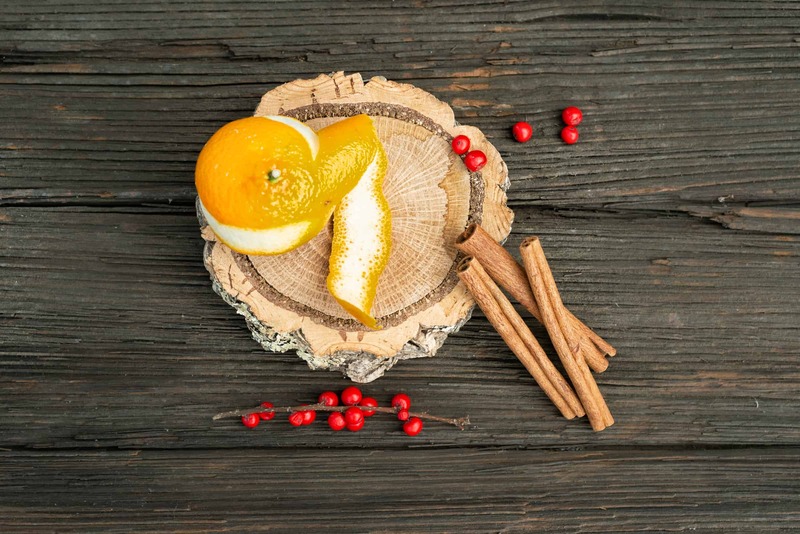 Stir in whiskey or bourbon and garnish with remaining orange slice and maraschino cherry. 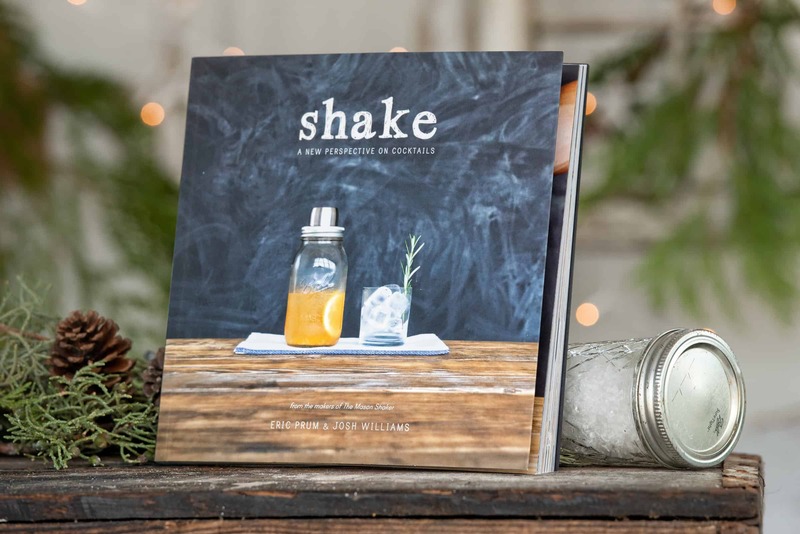 The authors of Shake have an equally delicious, yet totally different take on the libation. 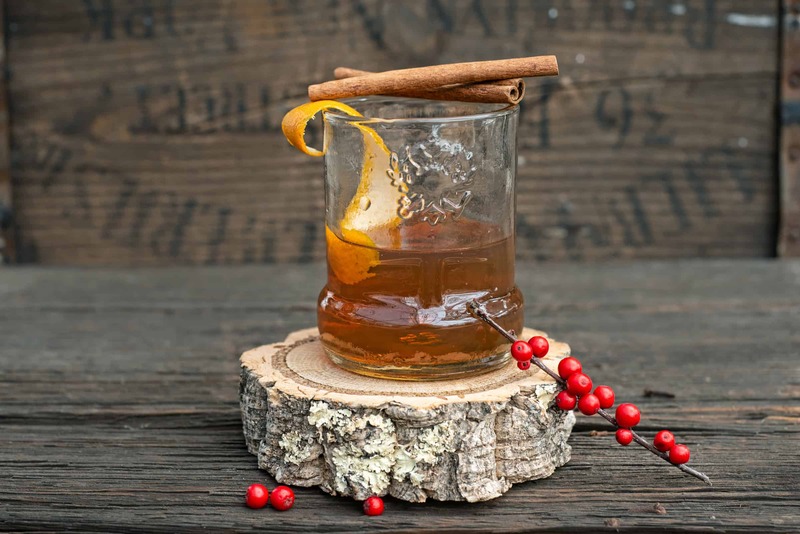 Their Spiced Rum Old Fashioned (shown below) is a perfect cold weather drink. Add the cane sugar and aromatic bitter to the shaker. Muddle the ingredients in the bottom of the shaker until the sugar has dissolved. Add the aged rum, cloves, cinnamon and orange zest to the shaker. Shake vigorously for 30 seconds. Let set for 30 seconds. Add ice to above the level of the liquid and stir for 10 seconds. 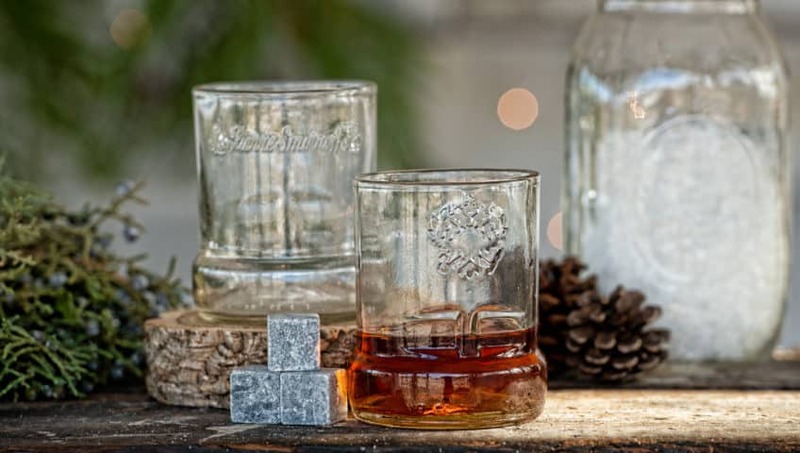 Strain the mixture into rocks glasses containing large cubes of ice and garnish with remaining cinnamon and orange zest. If you're taking wine to a celebration, take along a wine log. 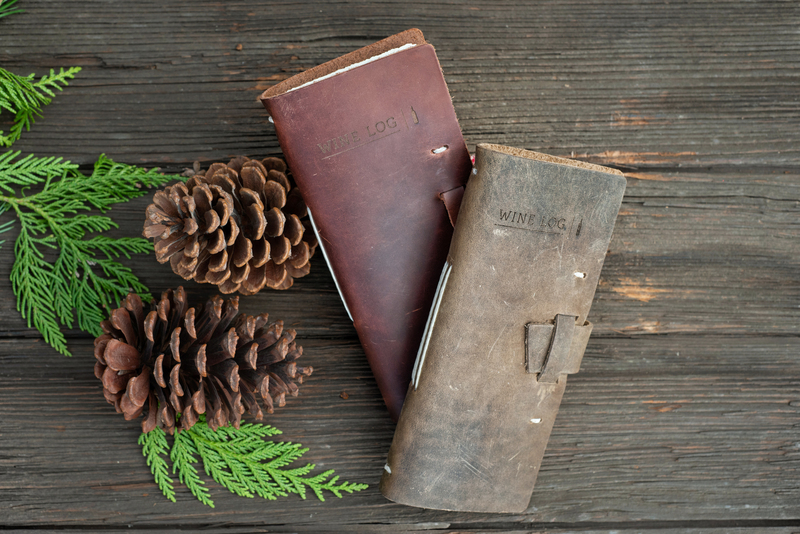 The rich leather cover will weather the use of countless entries making it a keepsake memory. The Bradley Brew Project suggests taking along a growler of their locally brewed stout for a lighter libation. Their Dark and Roasty Session Stout is filled with "roasted coffee, dark cocoa and caramel flavors and aromas—a memorable stout in a low ABV format." 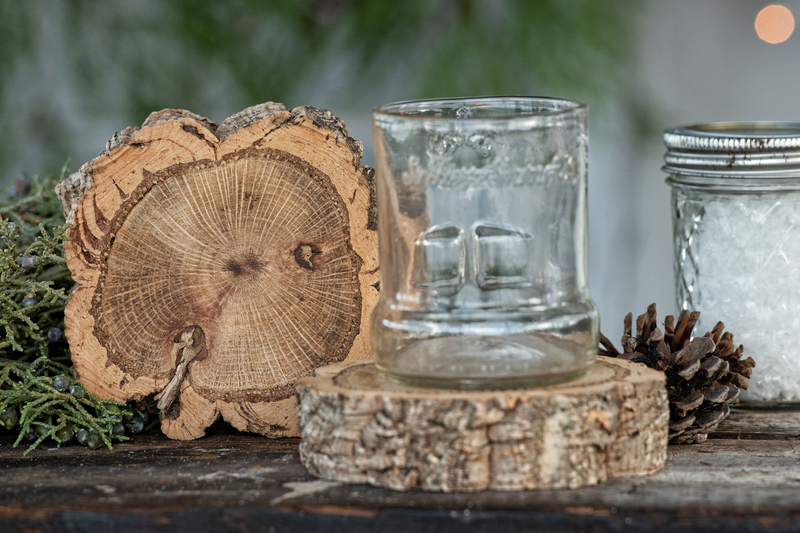 Hand-cut wood coasters will protect your surfaces from icy drinks and frosty beer. Whatever you're drinking to celebrate the season, remember to drink responsibly. Cheers to the holidays!